SSA Gujarat has released notification For 500 CRC Coordinator Posts. Eligible candidates may apply online from 13-04-2017 to 24-04-2017. more detailed information regarding educational qualification,age ,selection procedure,how to apply ,last date mentioned below. 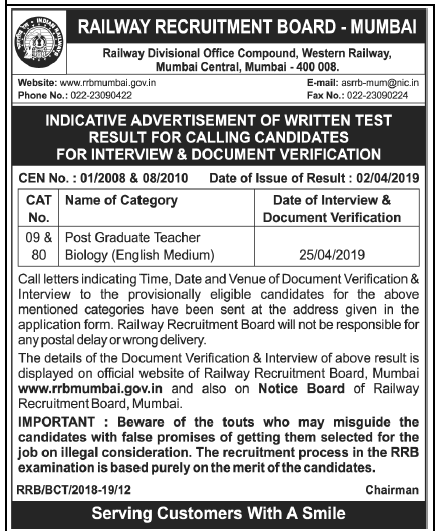 Educational Qualification : Graduate ,PTC / B.Ed ,TET 1, TET 2 or HTAT Pass. for more details read notification. Selection Process : Candidates will be selected based on Merit Wise & Personal Interview. 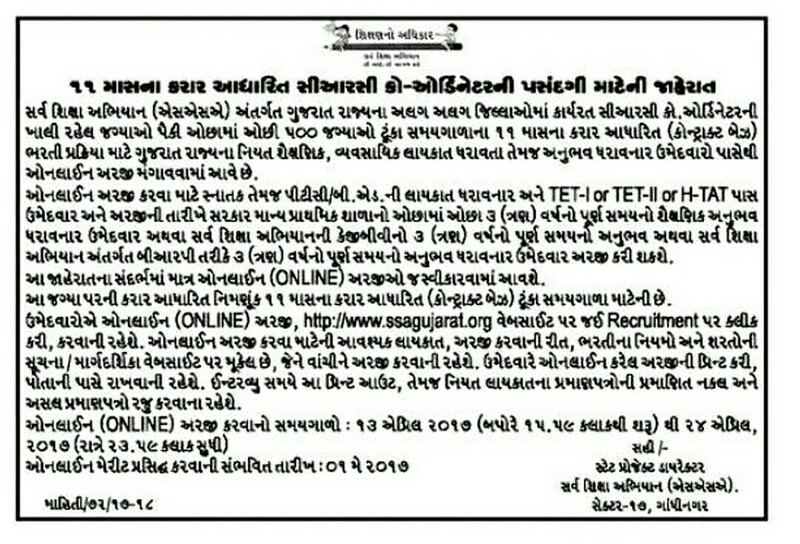 How to Apply : Interested & eligible candidates may apply Online through the website www.ssagujarat.org from 13-04-2017 to 24-04-2017.